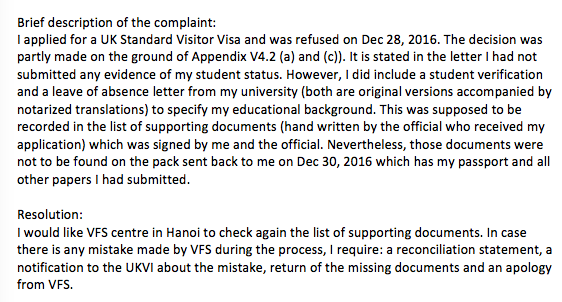 My concern is that I did submit evidence about my educational status (Student verification from university, Absent leave letter from university - both are verified and translated into English) - but in the pack of documents they sent me back with my passport, I COULD NOT FIND THEM. 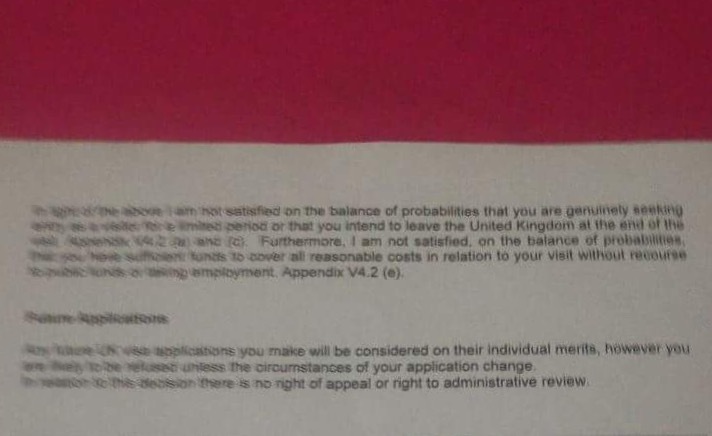 I suspect there might be some mistake or maybe they took them out on purpose, but am for sure they were in my application when I submitted it at the visa centre. I am a student (sophomore - in my second year at university). my sponsor is my uncle who is so close to me because we were living together for nearly 15 years. My uncle owns a company on his own and gave me 9000$ for the trip. (However, there is no evidence of his income nor letter from him in my application). I provided my mom's incomes as well (1100$/month). Can anyone give me advice: Should I apply or what kind of document should I provide them to make myself become more convincing? I am going to send a complaint to VFS centre took over my application via their website because it seems to be the only way to do it. Any advice on the complaint? You have a refusal because the ECO did not appear to examine evidence that was favourable to you. When your bundle was returned, the relevant documents were missing. What this amalgamates to is that immediate representations are called for. The caveat is that while this has been observed for both India and Pakistan, there are no such observations for Vietnam at the moment. 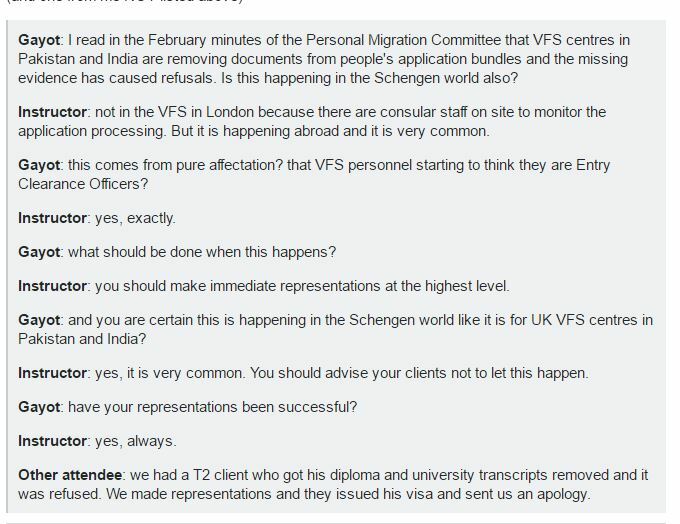 If you think this has happened to you, then you should make urgent and emphatic representations; instructing a solicitor to handle it is the 'golden' solution, but nothing prevents an individual from engaging both the VFS and UKVI directly. Also, they have a habit of not returning evidence that is photocopied or printed out from the net. So if your stuff was not originals this could also be the case. Also they will not return evidence that is forged or deceptive but hopefully this does not apply to you. Not the answer you're looking for? Browse other questions tagged visa-refusals vietnamese-citizens standard-visitor-visas or ask your own question. 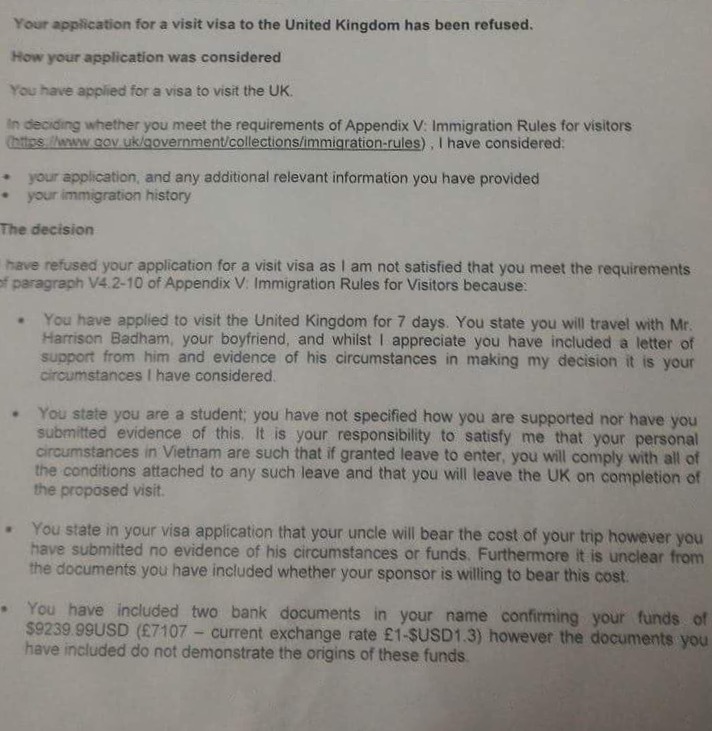 Why didn't the UK visa officer ask for financial documents?